We are excited to announce that LINZ communications account manager, Rosanna Price, has been selected to join the Antarctic Heritage Trust’s Inspiring Explorers team 2019 heading to Antarctica in March. Photo: (left to right) Living kidney donor and freelance camera operator, Leah Stewart; Alexander Hillary (Sir Edmund Hillary’s grandson); Auckland photographer and sound specialist Marco de Kretser; Wellington communications specialist and mum, Rosanna Price; Christchurch learning adviser, Georgina Archibald. Photo credit: Antarctic Heritage Trust. Each year the Trust chooses a team of inspiring young New Zealanders to travel to the icy continent for a unique learning experience. This year’s expedition features kayaking with New Zealand Olympian, Mike Dawson. “I’m so privileged to be part of a great team,” Rosanna says. “This is such an amazing opportunity to experience Antarctica, learn about its wildlife, history and environmental impacts – as well as getting a taste of what our great polar explorers like Shackleton, Scott and Hillary might have felt in their expeditions. Along the way Rosanna will be capturing some of the sights and sounds to create a story map resource for schools, featuring in the 2019 LINZ virtual field trip. 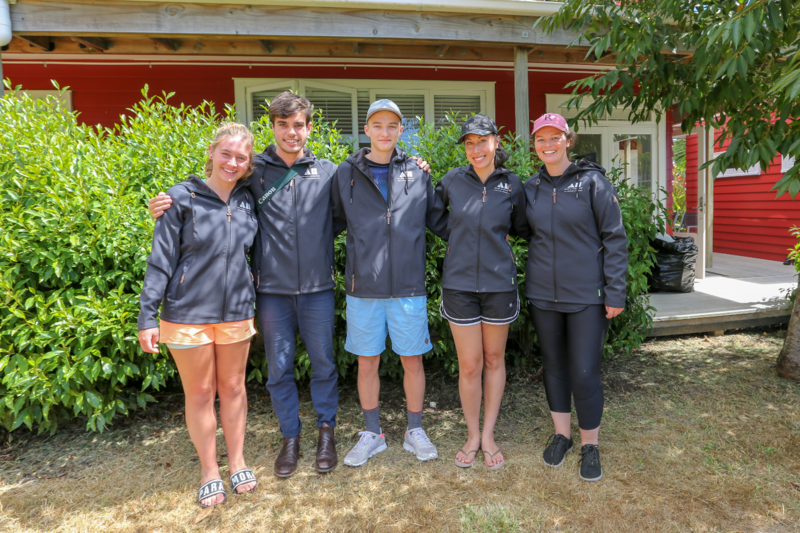 The group will join two students and a teacher from Sir Edmund Hillary Collegiate on the expedition aboard a One Ocean Expeditions vessel, leaving from South America.